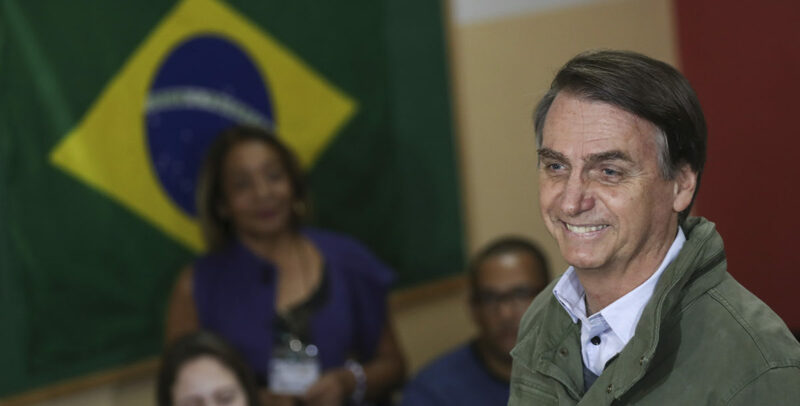 Venezuelan President Nicolas Maduro said Monday that Brazil’s president is a modern-day equivalent of Adolf Hitler after Brasilia called into question the results of Venezuela’s recent election. Brazil said in a statement Saturday that it is recognizing Juan Guaido, head of Venezuela’s opposition-run Congress, as the legitimate president after Maduro was sworn in to a second term. Many countries from around the world have described Venezuela’s election a farce. “Over there we’ve got Brazil in the hands of a fascist — Bolsonaro is a Hitler of the modern era!” Maduro said of Brazilian President Jair Bolsonaro during a state of the nation speech. Hitler, a dictator who led Germany during World War II, is responsible for millions of deaths. Maduro added: “Let’s leave the task of Bolsonaro to the wonderful people of Brazil, who will fight and take care of him.” Guaido, who was briefly detained by intelligence agents on his way to a political rally on Sunday, has not declared himself victorious after the May 2018 election. U.S. President Donald Trump slapped sanctions on Venezuela in November. The U.S. will block the movement of all property related to the gold sector of the Venezuelan economy, any goods “directly or indirectly engaged” with the Venezuelan government, according to the text of the executive order.